A dark blue colored phpBB3 prosilver based style with no corners and profiles to the left. SE Square Left supports full template inheritance. Style phpbb-3.1.x » 29 июн 2015, 00:35 » в форуме Стили phpbb 3.1.x на основе prosilver. 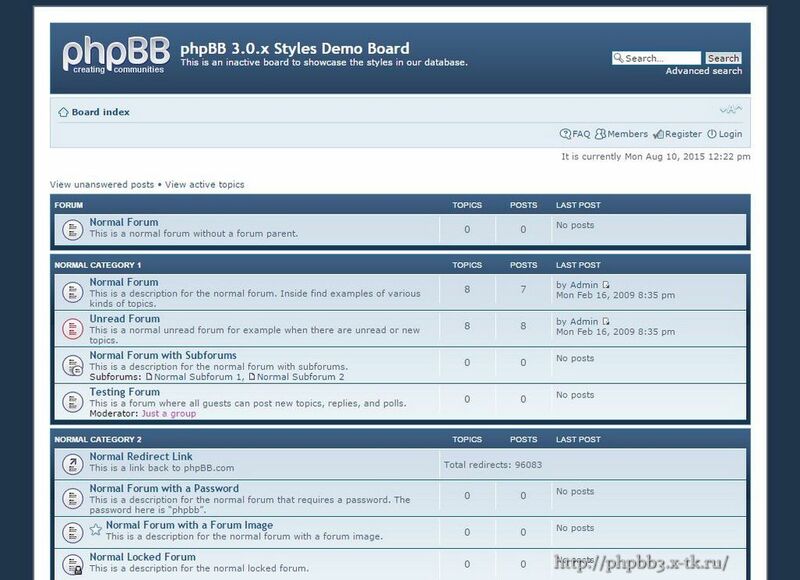 Style phpbb-3.1.x » 29 июн 2015, 00:30 » в форуме Стили phpbb 3.1.x на основе prosilver.